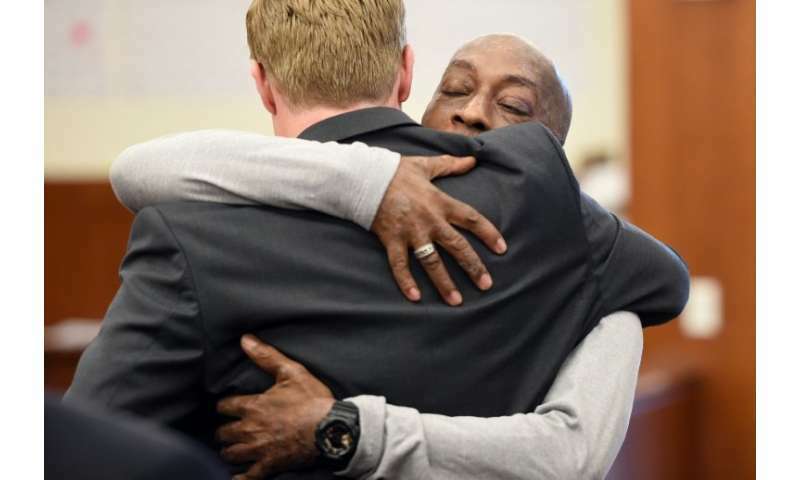 Johnson, a California groundskeeper diagnosed in 2014 with non-Hodgkin's lymphoma—a cancer that affects white blood cells—says he repeatedly used a professional form of Roundup while working at a school in Benicia, California. 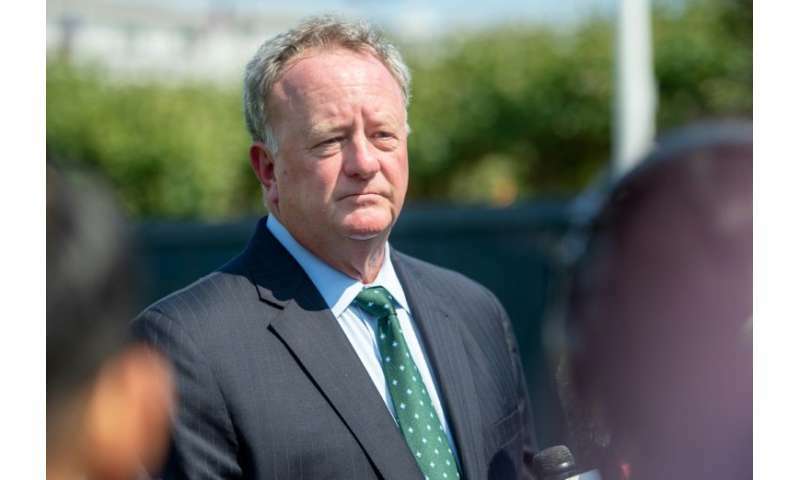 Records unsealed earlier by a federal court lent credence to Johnson's claims—internal company emails with regulators suggested Monsanto had ghostwritten research later attributed to academics. This appears to be a case of "stick it to the big, rich corporation" without any evidence that Roundup caused this man's non-Hodgkin's lymphoma. Non-Hodgkin's lymphoma has been associated with auto-immune diseases, a plethora of viruses, radiation, Immunosuppressant drugs used to manage the aforementioned auto-immune diseases, as well as inherited disorders. There still exists little or no evidence that glycophosphate causes cancer, let alone NH lymphoma. This appears to be a case of 'finally sticking it to the big controlling overreaching corporation' who has bribed, stolen, threatened, sued and forced it's way into making sure that no one could stop or hinder their creation and control of a GMO market. First the inherent toxic genetically modified crops, the toxic stew of a pesticide for those crops, then the suing of the farmers and groups forced to suffer from this scenario, then the paying off or usage of planted officials in governmental agencies that oversee the regulation of these products. Horrifically, there is more, much more. People could write books about monsanto's crimes against humanity. And they have. WHO has recommended on banning roundup, entire countries ban GMO crops, specifically Monsanto products, and so on. Monsanto has a long history of horror. Canada, for example, bans Monsanto GMO corn stock for human consumption. Monsanto sues them, of course. Tons of evidence. Monsanto works to bury it. Trouble is, it's getting harder and harder to find ways if protecting our food supply from infection and infestation. So it's getting to the point where either we tolerate certain unpleasant side effects, or we starve. And its only these big corporations that are equipped to protect us. And since when is capitalism more important than life? Without life, there is no capitalism. If smells fishy that this comes right after German BASF bought Monsanto. Capitalism is competition. Evolution is competition. Competition is the best way of producing quality. And their little bananas cannot feed the worlds population. Only GMO foods protected by successive gens of herbicides and pesticides, which only these big crops have the resources to develop, has any hope of sustaining the worlds pops into the future. So we're back again to the inescapable conclusion that the world is too full of people. It's not the money of the lawsuit, which is ridiculous, how much did this guy earn? It's the stupidity of naming substance carcinogenic without REAL proof. If the nutjobs who hate everything agricultural post-1880 are the leaders here, we are in big trouble. Dangerous Research is Bad ! There are ways of benefiting humans using Genetics. For example, Wood Frog of Alaska is frozen to rock-like state, stopping all of its cardiac and respiratory functions. Then, It thaws like food in the dish and starts hopping away. There are VARIETIES of Frog and Toad species. Do Gene Sequencing on all of them and introduce genes for that Great feature to others also. One day, we may be able to walk barefoot on North and South Poles, Who knows? May be a matter of decades. We do not want to be frozen into a stone-like state like Wood Frogs, though ! 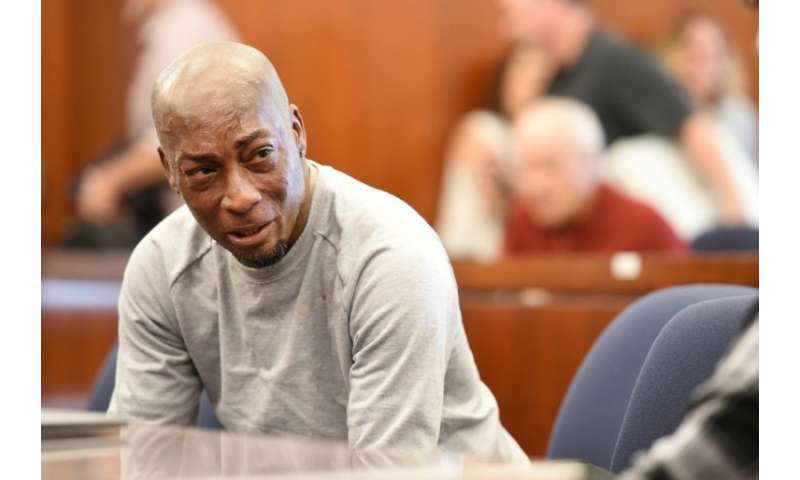 But, since Monsanto has become the object of extreme hatred by most environmentalist extremists (and, don't get me wrong here; I am all FOR protecting people/whales etc against pollution,global-warming etc), I presume any LEGAL jury, NOT any rational SCIENTIFIC 'dury', would always give Monsanto a guilty verdict as charged. Who cares about the truth when you can f*** Monsanto? My Misedit; both of those "dury" should be "jury". They really should give you more time to correct edit mistakes. Anyone agree? Who knew chemicals that kill plants and weeds would also kill humans. I never would've guessed. Who knew insects that kill plants and weeds would also kill humans. I never would've guessed. So ladybirds kill humans! ...see the illogic of your (implied) argument now? Just because SOME members of a set of things X cause Y doesn't mean ALL members of set X cause Y. Who knew insects that kill plants and weeds would also kill humans. I never would've guessed. 'implied argument', I think that's called putting words in people's mouths and strawman-ing. It is obvious what you implied else why did you say it? What was I implying, oh dear mind reader, please enlighten me on my own thoughts. Apparently both sides of Monsanto controversy argue with their impressions and none of them bothers to look at the documents, which Monsanto covered before years. And from these documents follows clearly, that https://www.thela...fulltext - and not just on mice but also human. "Biomonitoring of genotoxic risk in agricultural workers from five Colombian regions: association to occupational exposure to glyphosate." And, in science, an "association" is NOT a "causal link" and should never be confused with a causal link. Day is always followed by night thus is "associated" but day doesn't cause night. etc. "The EU assessment did not identify a carcinogenicity hazard,"
Apparently then you don't bother to look at the documents. So everyone that gets Non-Hodgkin's lymphoma will receive a $290 million payout? There is also another strange thing, that RoundUp (which is supposed to be just an inert solution of glyphosate according to Monsanto) https://www.ncbi....955666/, so that it apparently contains another shits, probably residui from bacterial cultures. No, moron, it is because it contains detergent and the toxicity of glyphosate is SO LOW that the toxicity of detergent completely dwarfs that of the glyphosate. And Monsanto don't deny that detergent is there. That detergent has NOTHING TO DO with GM so you are just talking complete ignorant CRAP. -it is to help more of the glyphosate to get absorbed through the leaf. And I have a C&G in horticulture which covers pesticides so I am speaking as a qualified EXPERT on this. That detergent is normally called a "surfactant" when put in the pesticide (even through all that means is that its a detergents i.e. surfactant means detergent). That detergent is added to cause the droplets of pesticide to better speed over their target as well as help with absorption of the active ingredient of the pesticide to penetrate through slightly oily barriers of the target such as the slightly oily cuticles of plants etc. When the detergent is used exactly like this, it is technically called a "wetting agent". My misedit in my above last post; "speed over" above should be "spread over"
The rise of gluten allergy can be also attributed to ]GMO spreading like at the case of another autoimmune diseases. You are just talking a load of CRAP as usual. Your very own first link actually says "children who grow up on farms are less likely to develop allergies." which would surely be inconsistent with Monsanto having something to do with it. And your second link is about GLUTEN causing allergies, NOT GM nor Monsanto. In fact, neither of your links even mentions "GM" or "Monsanto" or the equivalent. Your 'theory' makes no sense whatsoever. NONE of the credible and/or common ones even mention "GM" nor the equivalent. Actually it can be attributed to the spreading of false info between yoga-pants-clad soccer moms. Just look at what Gwyneth Paltrow decided to stuff in her vag. 2, Processed food isn't necessarily more likely to have more pesticide traces on it than unprocessed food. This is because "processed food" means food that has been processed, NOTHING MORE. Food processing typically involves things such as mincing, liquefaction, cooking, pickling, pasteurization, etc. It is just totally idiotic to imply doing any of those things would increase any pesticide traces; why would it? 3, What the hell has food processing got to do with Monsanto? Do you blame Monsanto for literally everything including volcano eruptions? Food processing has NOTHING TO DO with Monsanto. Food processing has NOTHING TO DO with Monsanto. My error; I forgot Monsanto at least used to make (don't know if they still do) saccharine and vanilla with the identical chemical formula to that of vanilla from natural source (so if their vanilla causes allergies then so must natural-sourced vanilla), neither of which are blamed by science for the general increase in allergies. Big deal. Saccharine with identical formula from natural source? A lot. You know - meat and proteins are expensive. But soya is cheap and it has also lotta proteins - they're mostly unpalatable without fermentation, . And haven't you heard of "processed meat"? Straw man and obtuse; I very clearly was said VANILLA with identical formula from natural source, NOT saccharine. Lolz, as soon as all of you start growing your own food and become self sustainable then you can complain about GMO food. Too many people living in cities who have no idea how food gets to their local market. Last year, the United Nations International Agency for Research on Cancer (IARC) classified glyphosate as "probably carcinogenic" based on a review of the available evidence. While that classification has been disputed by another prominent agency, the European Food Safety Authority (EFSA), it still isn't as disconcerting as it sounds. The "probably carcinogenic" ranking places glyphosate's cancer causing potential behind bacon, sausage, and other processed meats that many people enjoy on a regular basis. But who needs science when you've got a California jury? Crazed environmental extremists haven't the slightest interest in the truth or protecting people's health. All they want is a way to spite Monsanto which they REALLY HATE, even when and where Monsanto didn't do anything wrong. only these big crops have the resources to develop, has any hope of sustaining the worlds pops into the future. So this is the lie corporations sold us. Capitalism is also some what of a lie or maybe you forgot to big to fail. Who bailed out the capitalists? We did through the government. Does that mean socialism saved the day again? The new deal by taxing the wealthy to create jobs and social security gave us decades of prosperity. Those reforms have slowly been whittled away leading to the crash and wealth disparity that we have not seen since feudal times. Drink some more cool aid! Serious do you know anything about its sordid history? Hell I remember in the nineties when the sold of the pharmacueticals division because it looked shady that they were developing medicine to help people that were developing disease from the food they produced. Capitalism at its finest make food that gets people sick then sell them the drugs to help them deal with it. Merica F*ck yeah! Yeah, incredible isn't it? I don't understand it either. Why would anyone complain about a corporation that bottles death and destruction at the biological level, and then profits from it? Guess what? I don't see Monsanto as angels (I bet they have done at least one bad thing in the past) and I think it was quite right to ban DDT etc. That doesn't mean it would be right to ban roundup; that should depend on the FACTS. And I think we should do something about man made global warming and stop mass deforestation etc. What I AM against are the usual hateful lies from a crazed minority that call them selves "environmentalists", typically being anti-science anti-GM anti-nuclear (even anti-fusion power) and anti-industry and sometimes even seem to want us to go back to the stone age, and who give environmentalism a extremely bad reputation it ill deserves. The Cavendish banana is king in the exported banana market, but will soon be wiped out by a new strain of Panama disease. The banana that will fill the void will almost certainly come from one of the "little bananas" that you have so haughtily dismissed. The lure of "big crops" is also their downfall - lack of genetic diversity. How do you not see the danger of large populations becoming dependent on monocultures that could be wiped out in an instant? Over a quarter of a billion dollars because this dumb a$s hat got cancer from a product any moron knows is toxic? 10 Million tops, but almost 300 mil, seriously? What a douche. Ill gladly take cancer for a quarter of a billion dollars if thats the new thing. .. it (Roundup) apparently contains another shits..
...it contains detergent and the toxicity of glyphosate is SO LOW that the toxicity of detergent completely dwarfs that of the glyphosate..
..That detergent is normally called a "surfactant" when put in the pesticide..
First we need clarify: Herbicides come in concentrates and pre-mixes. The caretaker in this case was using concentrates. This would also be the case for ag/industrial workers. I have used both (as concentrate), and I read the labels and instructions. Both generic glyphysate products and Roundup concentrates suggest using a surfactant, so I don't think it's included; although both products do have inert ingredients for the active chemicals to bind to (usually a clay or salt). 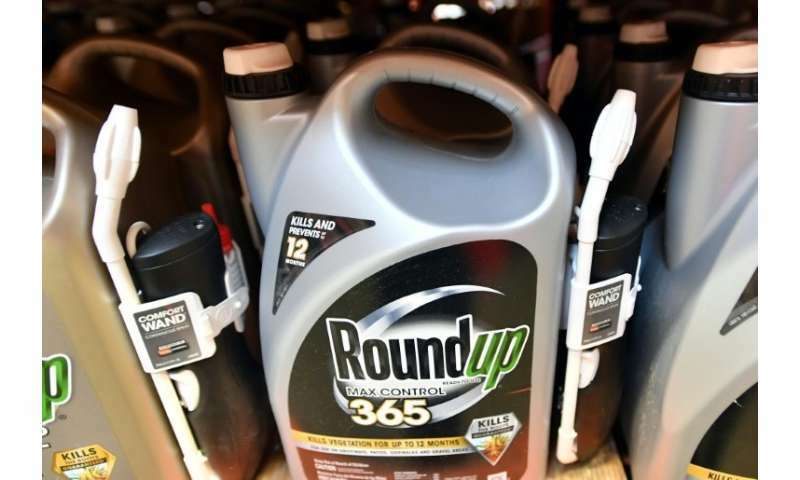 I stopped purchasing Roundup (concentrate) because 1) its more $$ and 2) along with glyphosate it does have a 'proprietary blend' which is not disclosed, 3) it only works faster than generic forms of glyphosate with 41% active ingredient: Glyphosate( with no other actives) not better. Keep in mind, the Roundup concentrate still recommends a surfactant, so I do not believe it's contained in the propietary blend. It also does not smell like 2,4D so.. it seems plausible it has some other rapid delivery mechanism or it's substrate is what is actually toxic. Lastly, it's been stated in other articles regarding this case that the plaintiff was completely soaked in the product multiple times in his career. This is the most believable part of the case IMO and in my experience. All pesticides/herbicides dedicate pages to PPE and procedure. The equipment available to administer said products though seems to have virtually no bottom end for standards. I don't understand why the producers of the chem tanks he was using are not on the line here as well? I have used both (as concentrate), and I read the labels and instructions. Both generic glyphysate products and Roundup concentrates suggest using a surfactant, so I don't think it's included; . "...Roundup agricultural herbicides have surfactant already included in the formulation..."
So everything I said was correct (which is unsurprisingly given I an EXPERT on the subject) and there was no need for you to "clarify" what I just said, thanks. Misedit; that should be "...given I am an EXPERT on the subject.."
The lure of "big crops" is also their downfall - lack of genetic diversity. How do you not see the danger of large populations becoming dependent on monocultures that could be wiped out in an instant? I didnt say that. What makes you think thats what I said? "I can see the day coming when even your home garden is gonna be against the law!" Big Agri has destroyed countless farmers and screwed up the gene pool. And they constantly say only they can save us. They just want to make a buck. As long as all corporations care about first and foremost are profits the truth and the best solutions will take a back seat. It's human nature. I admit I was waiting to be directed to the proof that Roundup causes cancer at all, let alone this cancer. Could someone direct me? There is (currently) no such real proof of any kind (and here I am talking as a qualified expert in the field). It may or may not cause cancer; time will tell. It is currently too early to tell. But it seems the way the jury works is very different from the way science works; they gave a guilt verdict BEFORE the proof. ---I should also add, if roundup does increase the risk of cancer, it must be only by a very tiny amount (else there would be evidence by now of a FAR stronger link) and about the same amount as adding mustard sauce oil to your dinner (and, yes, science DOES tell us there is such a risk. Its due to the mustard oil in it) and yet nobody is proposing banning mustard sauce because of this! And yet I would continue to put mustard sauce oil on my dinner and use roundup in my garden even if and when there is absolute proof of both causing cancer. Why? because the risk is so minute its not worth worrying about. I am MUCH more likely to get run over by a car. FACT; Several people die from falling out of beds each year. So why shouldn't we ban beds? and about the same amount as adding mustard sauce oil to your dinner (and, yes, science DOES tell us there is such a risk. Its due to the mustard oil in it) and yet nobody is proposing banning mustard sauce because of this! that's it, I'm going to sue French's! Could you become an expert in reading what I wrote to clarify, and what I wrote as a supposition, instead of an expert at cutting them together like that? Thanks for the link. I'm sorry; that last part was really mean. Apparently you wrote a typo intending to write "big corps" and failed to issue a correction notice later. But if you think that the big corps have any intention of selling diversity instead of monoculture, I have a bridge in Brooklyn to sell you. What makes you think diversity is any different in pre-GMO crops vs GMO crops? "Over the past 50 years, there has been a major decline in two components of crop diversity; genetic diversity within each crop and the number of species commonly grown." -And what makes you think this has anything to do with your 'big corps'?